Elisabeth von Trapp is a folk singer. She is sophisticated and very modern, yet unusually fond of the music of the Trapp Family Singers. A contemporary woman and a product of her times, she enjoys rock and roll, folk songs, and Jimi Hendrix; she has in fact an extremely wide musical range. Elisabeth von Trapp is a rare performer, classically trained and devoid of gimmicks who defies classification. A singer, songwriter, and pianist, her melodic compositions often focus on childhood memories set in the idyllic images of her birthplace of Vermont, enhanced by the crystal delicacy of her own voice. 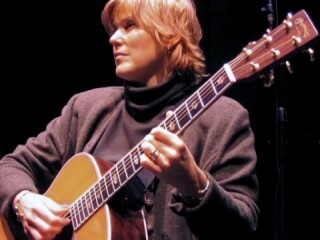 View the full website biography of Elisabeth Von Trapp.